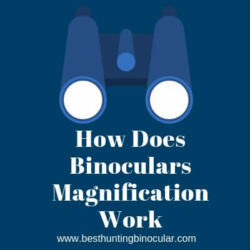 In today’s article, we are going to discuss how does binocular magnification work. So, let’s get started. 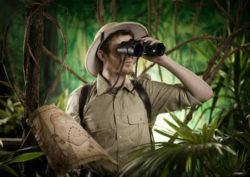 A binocular includes a magnification lens and a prism in it two oculars each. The lens work for the magnification an object that you are viewing. And prism is for correcting the image. When the object caught in the lens, the image would be upside down. It is the prism that alters the position and finally shows in front of the naked eye. So, all these mechanisms are responsible for giving you a show of long distance object. Magnification is crucial because you can see a clear, bright image of a thing but what’s the point if it’s in the far distance without the detail you are looking for. Magnification comes closer to the object view to your observation convenience purpose. 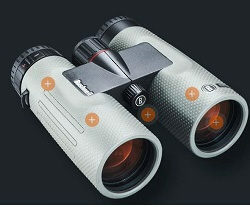 You might have noticed that all binoculars are described with some pair of numbers like 8×32 10×50 etc. The first no with x said the power or magnification of the binocular. So, 8x or 10x tell the binocular can enlarge an object 8 time or 10 times closer than what you see in naked eyes. And the second number is for stating the diameter of the objective lens. 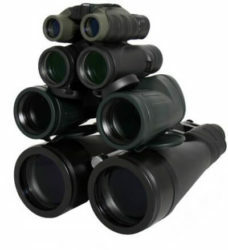 Some other models with 5x to 8x ranges called zoom binoculars. They offer a fixed range magnification like 5-8, 6-12, etc. but they are not that useful. You can use them for some outdoor activities, but astronomical use, or hunting they are a bad choice. High magnification is not necessarily mean always ideal for precise and closer view. Its the objective lens, prism system that works most to show a steady but clear view. Higher magnification can give a shakey look especially when you are holding it by hands. It creates blurry images that hard to see clearly and stare at it for a long time. 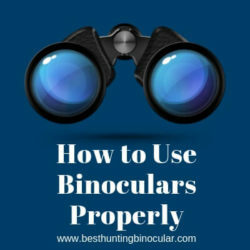 So, binocular with the higher magnification feature use an image stabilizer or a tripod to get rid of this fuss. Especially, when you’re using it for birdwatching or astronomy. Which Prism system is better? Nowadays binoculars are made with two main designs. 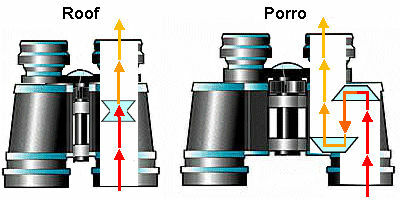 Porro prism and Roof prism. Both are powerful and feels different on hands and during observing. The roof prism system is most potent in between two types. 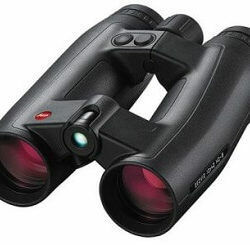 But these binoculars are less adjustable and hard to hold to get a steady image. When the magnification power of a bino is higher, the ocular position needs to close together for a still and clear vision. And that is little missing in here. The porro prism binos are more convenient in this case. These have a big hinge in the oculars. So they give much space to adjust the oculars distance. So, you can hold them easily for a long time. But these binos have less powerful objective lenses. They might have less range than roof prism binos, but they are good at getting a clear, steady view with these low power lens. Now you know what the magnification is and how it occupied with the different lens system. Magnification is crucial, but it’s your work type that requires a features package with low/high magnification, an objective lens, diameter, and other stuff. So, all binocular might not perfect for all types of jobs. To learn about more about different types of binocular for different tasks stay with us and looking forward to our upcoming articles.